One of the things (maybe the only thing) I dislike about Mr. Money Mustache and the swarm of like-minded individuals he spawned with his philosophy is that he didn’t come around 20 years earlier. If he had, I would have been retired much earlier. But in my generation, retiring early was at 60. Now it’s somewhere around 40. If I had known that there was a different way (either through MMM or my own realization), I would be retired earlier. But how much earlier? I’ve always wondered that and have been meaning to dig into some numbers to find out. So I went back and looked at over 23 years of Quicken data to estimate my financial independence (FI) date. But before we get to that, we have some assumptions to make. As I wrote in Three Steps to Determine if You Have Enough to Retire, the first step in knowing when you can retire (or are at FI) is determining your post-retirement annual spending. But what’s the right number to use in my situation? We are rather frugal, spending an average of only 17% of our gross annual earnings for 20 years so our retirement spending could be quite low. In retirement we would have lower taxes and giving (47% of our spending was in these two categories) and not need to save any longer (36% of our spending was here), making our three top expenses drop dramatically. $30k per year — This would be the bare-bones level of spending that seems pretty common these days among those retiring super early. It includes the basics and not much else. Yes, you’re retired, but you still need to be pretty frugal just to make ends meet. Many people call this “light FI”. $50k per year — Close to what we actually spent for most of our lives. This would allow for a much more relaxed lifestyle. While we wouldn’t be living high on the hog, we also wouldn’t be eating mac and cheese every night to get by. $80k per year — Close to where we are now. This is a pretty good level of income which allows for many luxuries (like going to Grand Cayman) and not really stressing about money in any way. These three give us a nice low-medium-high set of spending options to consider. How Much Would We Earn? We know the spending side of the equation so it’s time to consider how much we would earn in retirement. For now we’ll leave out my rental properties. We’re simply talking about side hustle/business interests in the income estimates below. $0 per year — Even if I died I would earn more than this (from residuals — at least for a year or two), so it’s not really realistic. But it represents an “I’m doing/earning nothing” option we should have in this analysis. $10k per year — This is a realistic number even if I didn’t push it much. I could certainly earn this blogging with minimal effort. $25k per year — This is the “high end” scenario we’ll use, but I could probably do better. I’m going with this simply because I think it’s a reasonable goal for blogging if I want to put in moderate effort but not dedicate my life to it. Now that we have both spending and income options, it’s time to crank some numbers. Now by checking Quicken we can see when I reached each of these asset levels (excluding our home, of course). Now of course there are a lot of variables we could use to adjust these, but I’m not doing a financial audit here, just getting us in the ballpark is fine IMO. Up to this point we haven’t talked about the impact of my real estate purchases. I wanted to see when I got to FI without them. So really the real estate purchases were just icing on the cake. They allow us to live at the higher end of retirement spending while not dipping one bit into assets. The earliest I was FI was when I was 33. It’s strange to think it was that long ago. Then again it was very light FI and I did not (and still don’t) want to live on pork and beans for 40 years, so it’s probably not realistic. The average (most reasonable) age I was FI was when I was 42. Ironically, that was with $1 million in assets (plus the house). It was a decade before I actually retired. Also ironically, it’s at an asset number that’s half of the $4 million I once thought I needed. The oldest age I was FI was when I was 48. This is the “spending a ton with no income” scenario which is unrealistic as well but at least gives us a “beyond-all-doubt” FI age. So by whatever measure you use, I was FI well before I actually realized I could retire. This is why I wish MMM was around 20 years sooner. None of these numbers were impacted by either real estate or my side businesses. These two alone get me to paying for retirement costs with no asset use, so if I had developed them much earlier, I would have been at full FI much earlier. They also provide a huge margin of safety in retirement. These results were achieved without trying that hard (because I was shooting for 60). If the MMM crew had been around earlier I probably would have tried harder. Another interesting question would be “when could we have hit FI if we had tried?” One big impact in this effort would be if we had eliminated or decreased our giving while we worked toward FI. Our giving was 26% of our gross income so even if we had cut that in half, we would be at FI many, many years earlier. That said, I’m glad we gave when we did for reasons I detailed in Where Does Giving Fit with Financial Independence? Downsizing our home would have also helped us reach FI sooner. We have had more than enough house for a long, long time. A very interesting analysis, ESI. I wonder what could have possibly been the 2nd and 3rd order effects of an even earlier FI for you. If you actually reached FI at 40 or earlier and realized it, would there have even been a FMF? It’s interesting to think about how our lives may go down different paths altogether with small changes earlier. Those are very interesting thoughts. Life can certainly take many (and unexpected) twists and turns with just a few changes. I think thought experiments (whether looking forward or looking back) are helpful and often fun. It is a good example to show those of us who are coming behind you. It provides motivation to work hard and to be intentional to get to our goals. I don’t want to sacrifice our giving to get there, but recognize this is a sacrifice that does slow down the progress. The analysis, coupled with 20/20 hindsight. Boils down to the facts that in order to reach FI starting earlier always comes to the surface first. There were so many factors to consider when I was younger, and now that I am somewhat older, and perhaps wiser reaching FI seems somewhat easier. Nevertheless, a good read, and a refreshing exercise. Thanks for your thoughts. Good analysis. Had you done this analysis 10 years ago, would you truly have retired earlier? And reflecting back, would you be ok with missing out on some of your accomplishments? The one concern I have about FI — and why I struggle to expose my teenager kids to this concept — is that often times it takes a lot of grit to achieve senior levels where you can have significant and positive impact on society. And if people leave a job the first time they face struggles because they have FU money, they may not achieve their full potential. That is probably true. If you have the ability to (basically) give up and call it quits versus being “forced” to push through hardships, what do you miss out on? The tale end of the baby boom generation did not really consider FIRE up until people started talking about it. I know I didn’t. Could I retire right now? Probably. My wife is 19 school days away from teaching full time so when we are done adjusting to her retiring we will see where our cash flow is at and eliminate some of the variables. These would be her pension take home, healthcare costs, what it means for her not driving 50 miles a day to work, etc. What will also help is when my youngest son has moved out of the house and these sticky costs are gone. He does pay rent and a portion of utilities and buys most of his food yet there are costs that we pay that are hidden. Not a game changer but still costs. MMM touts about how little it cost for him to live. Well I don”t want to live like that. I want to be able to live in the $50k to $80k range. Still be frugal where it counts but not annoyed by surprise costs. It is really interesting to see your numbers and the different iterations. I find it fascinating that we can become so dogmatic about our ideas – like your belief that you needed 4 million to retire or that 60 was early retirement. Then someone like MMM comes along and causes a revolution in our thinking. I think I heard you say once that you kind of randomly picked 4 million as the amount you needed, is that correct? I wouldn’t say I randomly picked $4 million — that sounds like I selected a number by throwing darts. I did put some thought into it, but it was more of a gut-feel estimate than a numbers-based calculation. One question that I have with a 4% rule analysis like this is that typically people do not include Social Security and Pension in these calculations. Would you include these and if so would that mean that your FIRE asset number be reduced if you considered these? That is you may need 8% of your assets the 1st 8 to 10 years of retirement but only 2% after you reach your Pension and Social Security dates and start collecting. Thoughts? I would say that is probably correct, but I haven’t run the numbers. I use SS as one of my margins of safety — there just in case things go south and I need some help. ESI, very impressive analysis, appreciating your sanguine acceptance of overshooting your goal. A wise mentor pointed out to me that “overshooting a goal is learning the ‘easy way’. Unlike undershooting the goal, there is no ‘learning the hard way.’” And, as you note, you have some nice options now. To Crusher’s point about Social Security and other fallback options, if you ever do undertake that thought-experiment you will be happily surprised. I’ve done it for my own situation, and found including S.S. and a reverse-mortgage, with conservative assumptions (4% drawdown, 3% return, etc. 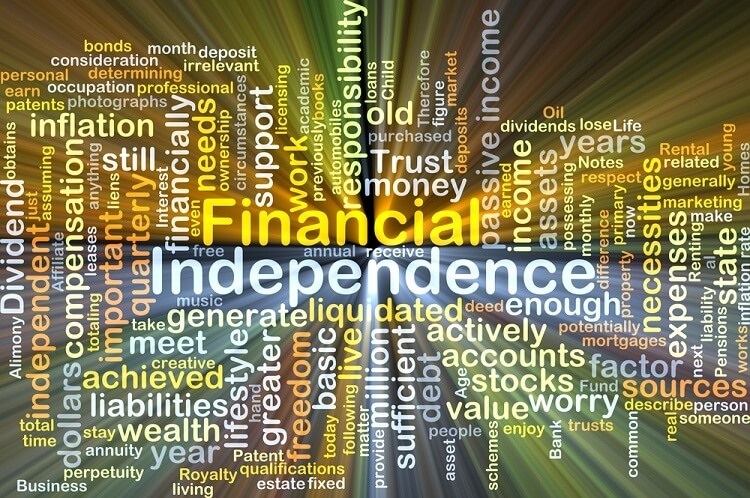 ), can result in a baseline income of more than $60K/yr from an overall Net Worth of $1 million. You can see a combination Area/Line chart for Spending/NW here. On your first blog, Old Limey was the original MMMer. When he documented his net worth growth after retiring, I just about choked on my tea one morning. It made me realize that compounding, even during down markets, was the ticket. Once you reach that inflection point of returns/growth to spending, the missing piece had been solved. Not sure how you arrived at that $4M number, but even after you invested in real estate using IRA money, if I recall correctly, you had covered your expenses. Having said that you still had 2 kids and that is always the wild card in spending – college, weddings and helping them get started in life. He was on the high side of 80 yo. Yes, good investor during 2 or 3 recessions. I know Old Limey’s story quite well as he is has been an acquaintance since the FMF days. He retired from Lockheed Martin at the age of 58 back in 1992. He was able to draw a pension and took a lump sum of about 300K in assets from his 401k. He was a software guy and quite the introvert but he met up with an investment club group of guys and helped to code some software to determine the statistics on different securities and mutual funds. He got free access to the software for life which was normally sold as a subscription. His strategy was to momentum invest in low volatility mutual funds using the different moving average indicators and other tests for volatility. By doing this he was able to ride up the bull market in the 90’s, going from $280K up to $2.7 million from 1992 until 2000. In March of 2000 he noticed that in just three trading days he “lost” $280K or everything he had earned in his working career and then sold out. Sold everything. He stayed in cash in money market accounts until the dust settled and it looked like there was a strong uptrend again, this was in late 2002 or 2003. Then he rode the markets up again until his portfolio was about $6M. In 2007 he started to see signs of the momentum breaking again and decided to call it quits in equity investing and switch to buying individual bonds. Now he manages an individual bond portfolio (mostly munis) for him and his family that are worth about $8M in total, spitting off $350K+ in tax free income. He still only spends within what he receives from SS and pension, or around 70K per year. He would be 84 now and his wife is a year or two older than him. He lives in Santa Clara but has stopped responding to email or using the computer for several years now. I had visited him and kept in touch with him via email (which he stopped responding to several years ago) but when calling him about 2 years ago, it seemed like he forgot who I was. Like he vaguely remembered being into FMF and talking with like minded people but somehow moved on to other things. The conversation felt like I was intruding on his privacy so I told myself that I would bother him again unless i was in the area and happened to run into him. I really wish him well- he and his wife are great people. Mike H, thanks for catching us up on Old Limey. I’ve often wondered about him, and his absence was notable. Always admired his risk-taking early, by leaving his country of origin and going to school while working and excelling at detail-oriented work (something that doesn’t come naturally to many of us!). One thought on your phone call…it is possible you weren’t speaking with the ‘same’ Old Limey you knew. Father Time collects his toll, sometimes very slowly. Don’t want to assume anything, but possible that he was not quite able to access the memory/experience from prior interactions. I can see why you two would be ‘sympatico’, very well. Thanks again for the update! I really appreciate the update on Old Limey as well. I always enjoyed reading his comments. As a young 20-something, they had quite an impact on me and the lifestyle I wanted to build for myself and my (future at the time) family. What about health care? I am all for FIRE, but I just do not see a solution to health coverage other than employer sponsored health insurance (absent huge net worth). Is a Medishare type program the only answer? Not the only option, but a good one. Some retirees work to keep their income low (and have to spend a low amount too as a result) and thus qualify for subsidies under the ACA. You know on the one hand it’s an interesting thought experiment. On the other one has to wonder would seeing it then have had the same effect. We are the product of all our past experience both good and bad. So eliminating any might change who we are today. I wouldn’t change today so I don’t want to change the past. Great post. I hope to follow your path. I am 42 and have the same net worth that you had when you were my age. Like you, my goal is to retire at age 52. My wife and I should have enough to retire a few years before then, but that is our goal. She has golden handcuffs including a pension and healthcare that covers her until age 65. Thanks for sharing your financial success and insights with us. That’s why I think we’re really really tight knit. At first you don’t know anyone, then once you’re in, it’s hard not to know everyone!! I think we got in young enough, weeeee! Can’t beat 4pillar though. He’s like 23…oh my goodness. I for one think you did the right thing by continuing to work even after you didn’t have to. It builds up a bigger margin of safety plus you are picking up interesting life experiences (being President of a company plus getting booted by the owner for unreasonable justification). It gives you more insight into human nature so that’s always a good thing. On that note, I’ve joined another job a month ago, this one is working for a major international hospital in the Middle East. It’s a job that utilizes my skills and is challenging and fun. But I’m not going to lie- moving here is a very uncomfortable adjustment and there is major discomfort involved with this. However there is also a big element of learning and growth that I am enjoying. We’ll see how it turns out- it is really good to know that I am already FI and don’t have to sweat it so hard and just treat this assignment as an adventure without the heavier pressure about fear of failure. It makes me feel more confident and happier. Our outlook and attitude is everything. I knew you were in the middle of a job change — glad you have landed and are back here again. If nothing else, the new job will make for some interesting guest posts. Ha! This post gave me a lot to think about. I like your 80K income – 25K earned = 55K plan, but 4% is based on ~30 or so years right? I guess I’m paranoid about retiring TOO early, i.e. I don’t want one or both of us to be 80 and run out of money. I agree with ‘Old Limey was the original MMMer’. I believe he is as sharp as ever. When FMF shut down, he closed that chapter. I get it; FMF’s site was a culmination of great content and a tribe of great commenters. I was addicted to that site and checked it daily. I have some new website favorites, like ESI, but nothing comes close to FMF. I miss Old Limey! and Life Happens! When my husband & I married 29 years ago, we both owned a house. 5 years later, we began an addition to the house we were living in (his) — and I just couldn’t fathom managing the rental (mine), and everything else that was going on in our lives with sub-contracting our addition, materials purchase, toddler, pregnancy, etc. So I made the decision to sell my house. Since finding ESI — I ran some numbers…. 🙁 – yes. I wish I had kept it now, along with income, there would have been the upkeep, maintenance, furnace/AC replacement, roof, etc — and all the other general repairs/headaches that come along with rentals… At the time, I made the best decision for our family’s well-being (one less stress). Thanks for sharing these numbers, ESI. As someone who has followed along for many years, it’s nice to have some numbers to fill in some of the details over time, if that makes sense. I have always been inspired by all that you have accomplished, both professionally and financially. This is a really interesting way of retroactively associating milestones with ages! One thing this reinforces to me is just how long people spend even after they know they want to retire early – even with a high income like yours. For you that could’ve been lowered with some later knowledge, but that path from $1m -> $2m was a solid 6 years. That’s longer than most people have heard of FIRE. Trying not to burn out on that journey is a real thing (but reading/writing helps – that’s for sure!). I’ve been going through the same number crunching to try and figure out my FI numbers, seeing whether or not I’d be able to just walk away from my job at this point (not because I hate my job but because our company went ‘for profit’ and I worry about them laying everyone off or selling the company for parts). Personally I’d rather assume a withdrawal rate of 2-3% to be safe. Have you read the articles on earlyretirementnow.com? They published a series “The Ultimate Guide to Safe Withdrawal Rates” that walk though Monte Carlo Simulations to calculate safe withdrawal rates for 30-year and 60-year runs. They started the series because they wanted to dig into that 4% rule in-depth. In “Part 2: Capital Preservation vs. Capital Depletion” they write that a 3% withdrawal rate with 75-100% of assets in stocks would offer a very high chance of preserving your capital, which seems like an excellent goal to me. Very insightful analysis looking back from a post FI perspective. I have to say, being 34 years old and speaking FI already is a massive win for me. It’s still very foreign to alot of people I know. The journey actually started aged 26 when I met my wife (a huge part of the wealth journey) at a property investing course (by Robert Kiyosaki in London) and we got a taste of “Financial Freedom” here in the UK. I discovered MMM aged around 30 and I have to say it has all been life transforming. Especially as a First Gen immigrant! Really enjoyed your post. Massive congrats for getting to where you are right now and for sharing. I love the way you ran the numbers with various scenarios both for spending and for income after independence. We’re taking that same approach – and the income piece dramatically changes things. Even $10k is a huge offset of expenses, and it’s pretty easy to do that stress-free when you’re not working full-time. 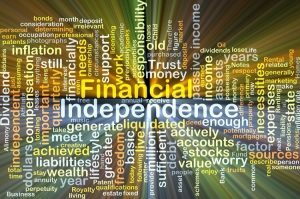 I suspect that, like you, I will look back and realize I was radically conservative when planning for financial independence because I anticipate we will make a considerable amount even after we reach it: that’s just how we are wired (to do things and to keep adding value to peoples’ lives).